Smoking-Hookah.com is dedicated to providing only the highest quality hookah products and accessories. Throughout our travels, we spent a great deal of time in various Middle Eastern countries. Our products are made in the Middle East and shipped around the world. We even have customers in the Middle East! In order to facilitate your enjoyment, we have promised ourselves and made a commitment to our customers to keep our prices reasonable. Through strategic alliances with global producers and importers, we are able to keep our rates low and product quality high. A. Online order: You may place your order online using a valid credit card, Venmo, Bitcoin, or Zelle Pay. We use an SSL (secure socket layer) encryption certificate from Verisign to ensure card information is safe and secure. As we do our maximum to to prevent credit card fraud and purchases tobacco products by minors, Smoking-Hookah.com reserves the right to refuse business and/or request additional verification before we process your order. We will only do so to verify the identity and age of the credit card holder. No private information will be published or shared with other companies. Some of our customers may not be not be approved due to lack of verification. In that case, we will contact you via phone and email to verify your info. We will usually require to see a copy of both sides of your credit card, as well as a copy of your driver’s license or other photo ID, which will verify your date of birth and signature. Please allow 1-2 days for domestic orders be shipped after payment goes through. We do our best to ensure items are packaged carefully to arrive in perfect condition. 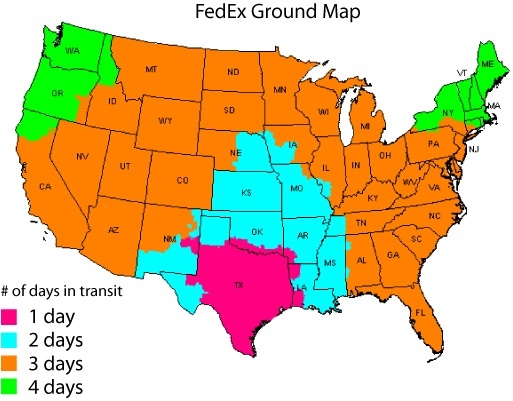 Domestic orders are shipped with USPS or Fedex. The estimated delivery time for domestic order is 1-4 business days. Most orders are shipped from our California service center. Shipments to P.O. Boxes, APO Addresses, Alaska, Hawaii and Puerto Rico are always sent with United States Postal Service (USPS). Please contact us after placing an order to inquire about express delivery. Smoking-Hookah.com is shipping globally to all parts of the world. International shipping costs are based on the weight of your order, the desired shipping method and the destination. Please note international shipments may always get delayed due to different reasons such as: weather conditions, customs inspections and the efficiency of your local post office. Please allow 2-3 days for international orders to be shipped after payment goes through. International orders are mostly shipped with USPS mail which takes about 14 working days to arrive. All orders going outside of the U.S are subject to be inspected by customs, and Smoking-Hookah.com has no way to avoid it. Since duty rates constantly change and vary in each county or province, we suggest that you contact your local customs office to get the most recent information regarding duty fees in your area. We are legally required to ship international packages as commercial purchases including the original invoice with the full retail value of each item with no exceptions. Any additional duty fee that is charged by customs is the responsibility of the customer. You may always refuse the package and ask for it to be returned to us if you do not wish to pay the duty. We do our best effort to ensure our customer's satisfaction. However, we know some customers might not be fully satisfied, as they can't see the item in person before purchasing it. You may return unused items within 7 days of the delivery date for a refund (minus shipping cost). Items left out of the returned package will be deducted from the refund at full retail value. Please carefully read the instructions below on how to return/exchange your item. We will replace or exchange defective or broken items free of charge within 7 day time period, only if the item is unused and in brand new condition. For returns/exchanges other than broken or defective items, the customer will be responsible for the return shipping amount. International Orders Only: Orders returned back due to return/exchange or customs/duties not paid will incur a 15% restocking fee and shipping costs will not be refunded. Please allow 2-4 days for funds to be returned to your account after processing a refund.